Matt Goerzen studies cultures of anonymity, and the technologies that enable them. His current project is to establish a cohesive framework for discussing media vulnerabilities by importing terms-of-craft from computer security research. 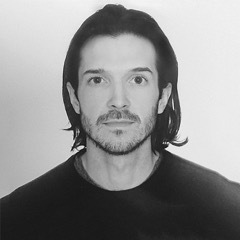 In 2016 he received a Masters of Arts in Communications Studies, after a course of study with anthropologist Gabriella Coleman at McGill University. His thesis, “Critical Trolling,” advances a politically-neutral definition of trolling, before tracing the involved techniques back from early-internet gray hat hacking communities through to the pre-internet artistic avant-garde. Ultimately, it examines an emerging class of contemporary artist trolls who function in a decidedly liberal, “critical” mode, and differentiates them from the subcultural trolls common to communities like 4chan. Goerzen has also received a BFA from Concordia University and a BJ (Bachelor of Journalism) from Carleton University.